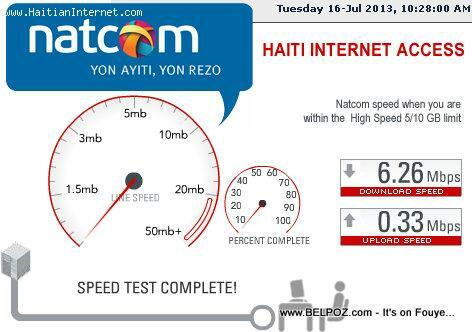 Here is an actual Internet DSL Speed test taken from my Natcom 3G Internet access in Haiti the same day I started the internet service. They told me I will get 10GB of internet access at this high speed and the remaining at a reduced speed. Haiti Internet Access: Global speed increased 30 percent in 2017, How is Haiti doing?